In this tutorial we will show you how to install and configuration DNS server on Ubuntu 16.04 LTS. For those of you who didn’t know, BIND is a widely used DNS Server. Ideally, DNS server consist of 2 machines that work together simultaneously, one act as master and the other one act as slave. If your domain registrar doesn’t provide you a free DNS server, or if you want to create a custom DNS record, then you might need to host your own DNS server. This article assumes you have at least basic knowledge of linux, know how to use the shell, and most importantly, you host your site on your own VPS. 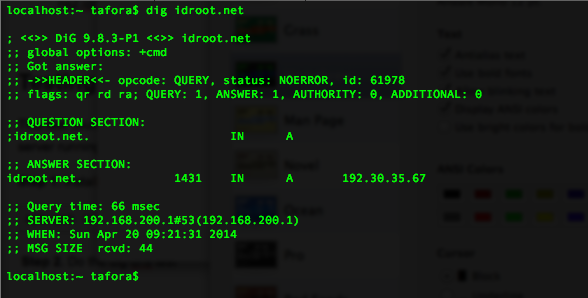 The installation is quite simple and assumes you are running in the root account, if not you may need to add ‘sudo’ to the commands to get root privileges. I will show you through the step by step installation and configure DNS server on ubuntu on a Ubuntu 16.04 (Xenial Xerus) server. Step 2. Installing DNS Server Bind9. Step 4. Configure Local File. Step 5. Configure Secondary DNS Server. Finally, this test could be done either on the DNS server itself or from another server, or from your own PC. In this case, we will do the test from another server running Ubuntu OS. Congratulation’s! You have successfully installed DNS server. Thanks for using this tutorial for installing DNS server on Ubuntu 16.04 LTS (Xenial Xerus) system. For additional help or useful information, we recommend you to check the official bind9 web site. Related Posts of "How To Install and Configure DNS Server on Ubuntu 16.04 LTS"